Reno Merchants recently wrote a review about finding the perfect apartment with ApartmentGenie.com. Check out what they had to say! Everyone has been there. Your lease on your home or apartment just expired and you’re in a jam trying to find your next place to live. Not to worry, there’s a new website that helps people find apartments quickly and easily. Currently focused on the Reno, Nevada area, ApartmentGenie.com is the place to go. You can search for apartments by size, location, price and amenities. We were impressed with the options and the selection of apartment complexes available. 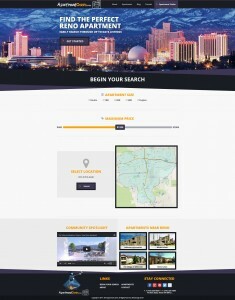 If you’re looking for your first Reno apartment, give ApartmentGenie.com a try – we recommend it.